San Palermo located between Frederick Small Road and Military Trail, consists of 2-story, Mediterranean style townhomes which are all located on Rivinia Road. 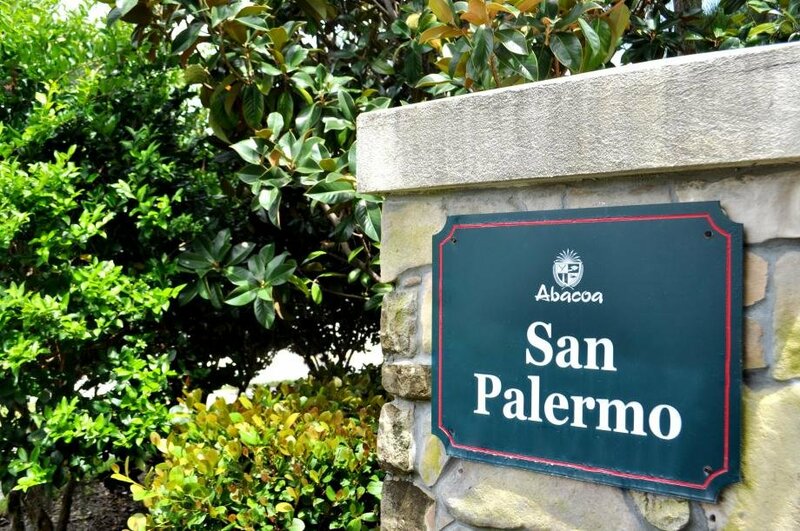 With a count of under 40 residences, San Palermo is the coziest community in Abacoa. The beautiful townhouses, some with detached 2-car garages were built by Divosta Home Builders in 2003. These duplex townhouses feature 3 to 4 bedrooms and 2.5 baths with affordable price points, making it a great choice for families with middle range incomes. Although San Palermo is the only community that does not offer a clubhouse and a pool, some of the townhouses have a small pool on their patios and the residents are just a few minutes drive from the beautiful beaches of Jupiter if they want to take a quick dip. The small subdivision is also just a few strides away from the Publix Shopping Center at Abacoa Plaza and relatively near everything Abacoa has to offer! San Palermo is zoned for the following A rated schools: Lighthouse Elementary, Beacon Cove Intermediate, Jupiter Middle and Jupiter High. Interested in the ABACOA ? Contact us online, call 561-491-2381 or Email - Team@SimmondsTeam.com to learn more about available listings or book a private showing. Contact us to learn more about selling your home with the Simmonds Realty Team.